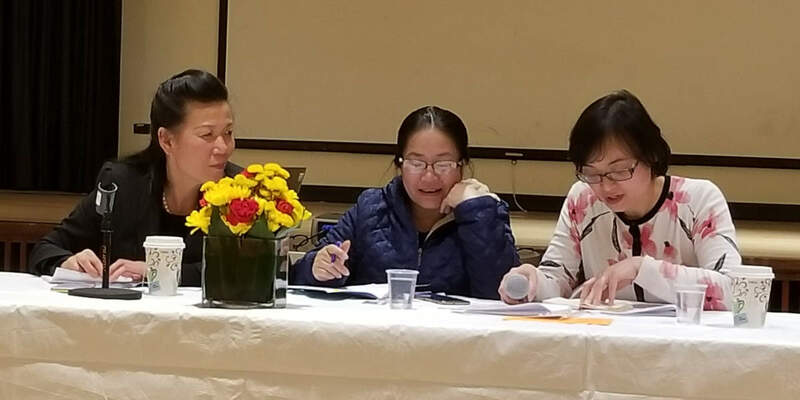 Women organizers of economic and political struggles in New York exchanged experiences with their sisters from the Vietnam Women’s Union April 1 at the 1199/SEIU Hall. Representing the VWU were national Vice Chairperson Nguyen Thi Tuyet; Ho Thu Nguyet from Lâm Dông Province, representing the provincial level of organizing; and Tran Thi Minh Huong, a very skilled VWU translator. From left to right, Nguyen Thi Tuyet, Ho Thu Nguyet, Tran Thi Minh Huong, representing Vietnam Women’s Union. While Vietnam has a population of close to 100 million people, the Women’s Union has the large number of 19 million members. In response to a question from an astonished woman organizer in the audience, Nguyen Thi Tuyet stressed that they were not just names on a list but active, dues-paying members! Today the union works toward full economic, educational and political equality for women. With 70 percent of women involved in the economy, they make up almost half the labor force. The VWU offers numerous vocational and social training programs. It organizes banks to participate in microloan programs that enable women, even in rural areas, to participate in economic activities that will ease poverty and foster a better life for themselves and their children. It educates villagers about how they can help ease the overwhelming responsibilities faced by families of several generations of people poisoned by Agent Orange. Women are making great strides in education. Their literacy rate is 93 percent, only slightly less than the overall 95 percent literacy rate. The number of women with college degrees has advanced remarkably: Today almost half the undergraduate degrees, 43 percent of master’s degrees, and 21 percent of the Ph.D. and higher degrees are held by women. In 2012 the Women’s Academy became a university with six faculties, including gender equity, business management and multimedia studies; it is now open to both women and men. Women are also increasing their role in the political life at all levels of government. The Women’s Union has responsibility for advancing policy matters relating to families, women and children. In addition to promoting women’s leadership, it has set goals for the percentage of seats in various political bodies that must be set aside for women. The excuse that there are not enough qualified women to fill these seats doesn’t work. The seats must go unfilled until women are found to fill them, removing the temptation to continue filling these seats with men until “qualified” women can be found! 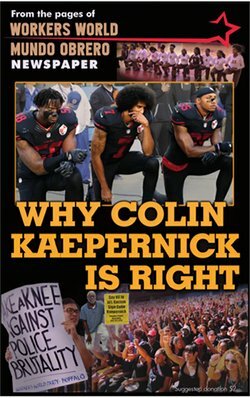 As someone who was a young anti-imperialist activist in the 1960s, I feel a great debt to the Vietnamese people. I have been inspired by their example of determination and courage in the face of such apparently overwhelming odds. Today the women of Vietnam continue to awe me by their consistent, determined and methodical work to overcome the legacies of war and poverty as they construct a country where women and men are equally responsible for social, economic and political life.